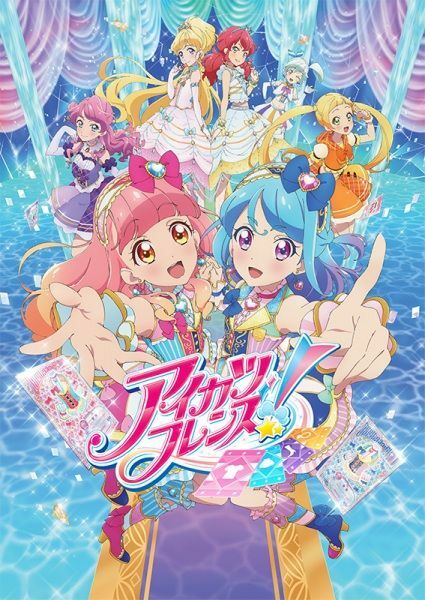 Aine Yuuki who is a regular student at Star Harmony Academy's normal division and meets Mio Minato from idol division who invites her to join Aikatsu to fulfill Aine's goal to make friends. She also befriends Maika Chouno and Ema Hinata who are also idols. Aine and Mio form a pair to become best friends to become the bright "Diamond Friends". Karen Kamishiro and Mirai Asuku are categorized as "Diamond Friends" and are in the Diamond Class!